Microsoft’s Arrow Launcher for Android has slowly but surely becoming a solid launcher for Android devices. The company, through the Microsoft Garage project team, has continually been adding features, improving the stability, and the performance of the launcher. If you are a heavy Microsoft user, you should consider Arrow Launcher for your launcher. You can read my review of it here. Back in June, in the 3.5 update to Arrow Launcher, the introduced a new feature, Arrow Hub. Arrow Hub allows you to easily sync photos, documents, videos and anything you have in your Android device’s clipboard to the cloud which you can then get to via the web or OneDrive. It is brilliantly simple and is an effective way to get files from your phone to your PC, Mac or Chromebook. So how does it work and how do you get to your files? In this How To I will outline how the feature works on your Android device and how to get to those files. Prerequisite: This How To assumes that you are running Arrow Launcher on your Android phone. If you are not, you can download it free from the Play Store. It also assumes that you have a Microsoft account that you can use with Arrow Launcher, OneDrive, etc. 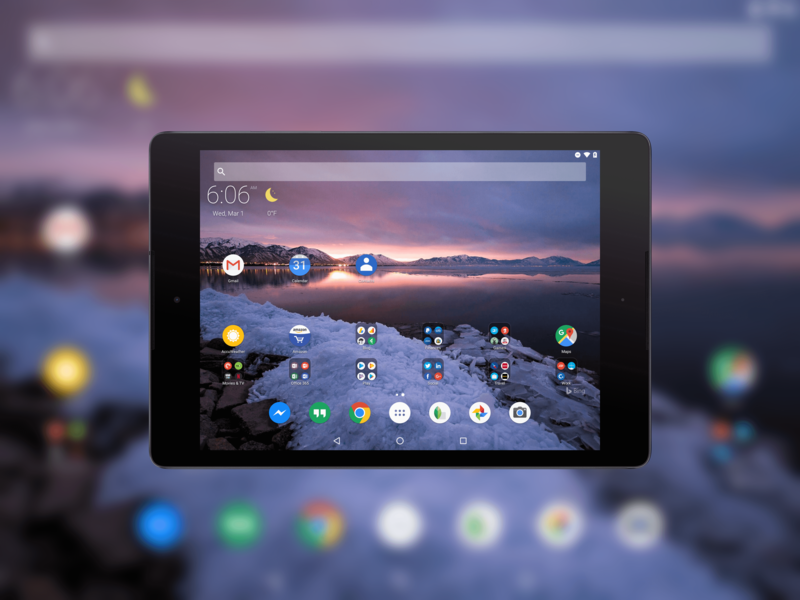 Microsoft continues to tweak and incrementally improve their Android launcher app, Arrow Launcher. The latest beta of the launcher has hit testers this week and with it comes a handful of refinements. None of the new features in the version 3.8 build are major changes but collectively, there are a lot of small touches & improvements to the launcher to make it a more personalized experience and visually, more satisfying experience. On the personalization front, your Microsoft account avatar is now shown in the settings of the launcher. Linking your Microsoft account to Arrow Launcher has been there for some time but now you will see your avatar and can quickly launch into your account settings from Arrow. Microsoft has a new update rolling out to Arrow Launcher in the Play Store that is bring some nice improvements to the launcher. The update is version 3.7 for those keeping score at home and this build has been in beta for a few weeks with testers. The update has some good improvements around contact management (or as Microsoft calls it, People) as well as some other fixes. The People card on the Utility page in this update will now allow you to choose between multiple actions for contacts and Arrow can now deal with merging and de-duping of contacts within the contacts on your phone. The multi-action feature is a long requested one of the launcher. Microsoft Arrow Launcher has yet another update rolling out in the Play Store. The update, version 3.6.0.34513 for those keeping score at home, brings a number of UI tweaks and improvements to the launcher. Many of these tweaks are just that: Tweaks. There are, however, some new features to be found in the update too. One of those new features is the ability to hide the system status bar at the top of your phone. The system status bar is where you see things like your mobile signal indicator, Wi-Fi indicator, battery and notification icons. Now you can hide it from view for a cleaner look to your home screens. To view the status bar, you can just swipe down from the top of your home screen. This new feature is found in Settings>General settings>Keep status bar. Earlier this week I posted a review of the Nova Launcher for Android. In that review, I pointed out that if you are looking for a launcher that has a whole load of knobs to turn, it is the best option for you. But for those of you who aren’t interested in turning all the knobs or, more particularly, are deep in the Microsoft ecosystem, there is a solid option for you too. The Microsoft Arrow Launcher. Arrow Launcher doesn’t have the configurability of Nova Launcher nor does it pretend to have them. Instead, Microsoft has taken this launcher and focused it on productivity. Contacts, apps and documents are easily accessible from the launcher, getting you editing that Word file quicker and with few taps than opening the app itself. But it also does all this with speed and battery friendliness that makes it a great option even for those who don’t necessarily use the Office apps. I’ve been running Microsoft Arrow Launcher on my Nextbit Robin for the past few weeks and I have no problem giving it a thumbs up. It works great, has enough configurability for those want to tweak a little bit and gets you deep into the Office apps without having to fuss with it. Here’s my review and thoughts on Arrow Launcher.